Linguistic D numbers (LDNs) provide a reliable expression of cognitive information. By inheriting the advantages of linguistic terms (LTs) and D numbers (DNs), LDNs can express uncertain and incomplete cognitive information in multicriteria decision-making (MCDM), and they do so better than existing methods. The TODIM (an acronym in Portuguese of interactive and multicriteria decision-making) method can consider decision experts’ (DEs’) bounded rationality, such as cognition toward loss, which is caused by the DEs’ cognitive limitations during the decision process. Additionally, the Choquet integral can process the interrelationship among criteria or cognitive preferences, which helps to reflect the complex cognition of DEs. Therefore, it is necessary to propose a novel cognitive MCDM approach by extending the TODIM method and Choquet integral to handle MCDM problems in which the cognitive information is expressed by LDNs. In this paper, we introduced LDNs to represent uncertain and hesitant cognitive information. The definition and comparison approach of LDNs were also recommended. Then, we proposed the distance function and modified the score function of LDNs. 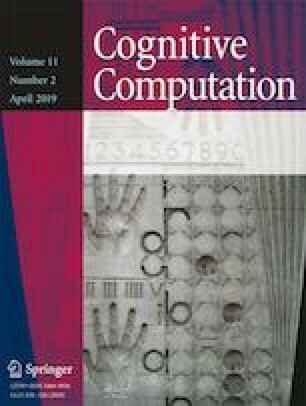 Later, considering the limitations of the DEs’ cognitive abilities in real decision-making and the phenomenon where attributes or cognitive preferences in MCDM problems are not independent, we developed a novel cognitive MCDM approach with LDNs by extending the TODIM method and the Choquet integral to deal with these cases. The proposed approach can not only take the influence of the limited cognitive abilities of DEs on the decision-making results into account but can also deal with the correlation between the cognitive preferences. A novel cognitive MCDM approach with LDNs based on the TODIM method and Choquet integral was proposed. Moreover, the validity and superiority of the presented approach were verified by dealing with practical problems and comparing them to other approaches. The proposed approach can consider cases where the DEs are rationally bounded in their cognitive decision-making and the criteria or cognitive preferences in MCDM problems have an interrelationship. Therefore, this approach can produce more reliable decision-making results than some existing MCDM approaches. This paper is supported by the National Natural Science Foundation of China (Nos. 71771140 and 71471172), the Special Funds of Taishan Scholars Project of Shandong Province (No. ts201511045).